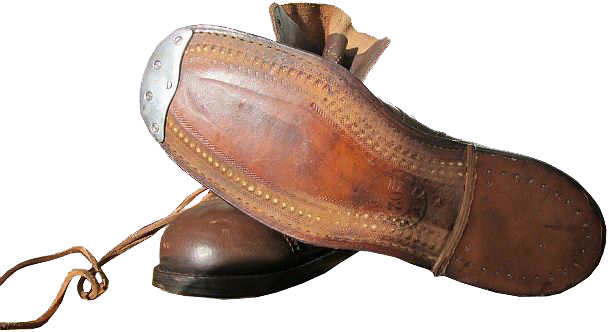 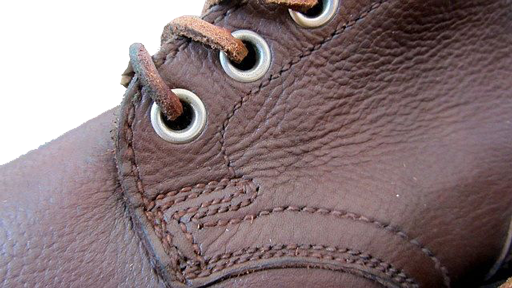 to purely Swedish design boots, which had minimum number of stitched joints. 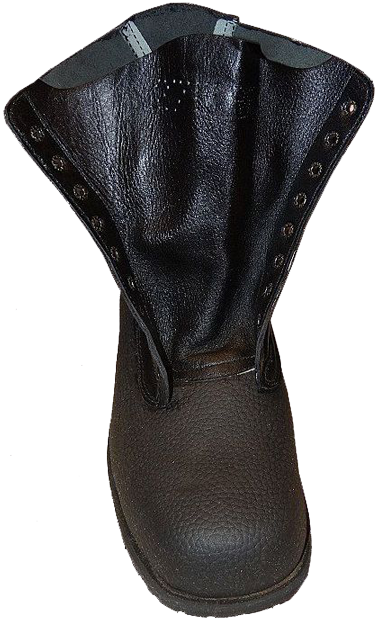 The flap of the tongue is stitched to the boot's top, and the tongue itself is made of soft leather. On the tongue, the following information is indicated: size, width and "Kronmärkt" ("Three crowns") logo (the sign of belonging to the Swedish Armed Forces). 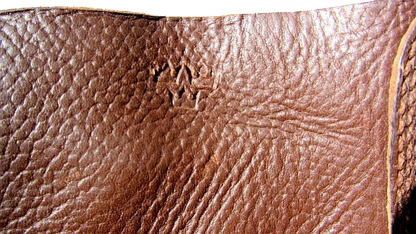 The marking was either hot-stamped on the leather or made by dot-punching. 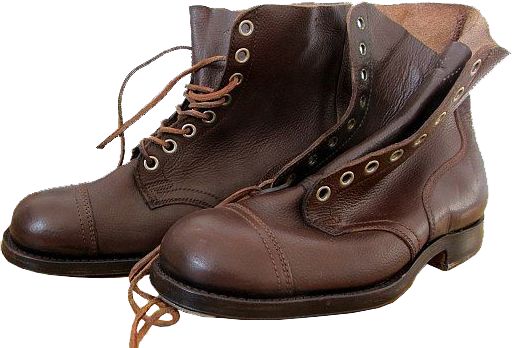 The lacing system consisted of eight pairs of round aluminium eyelets, the laces could be either made of leather or textile. 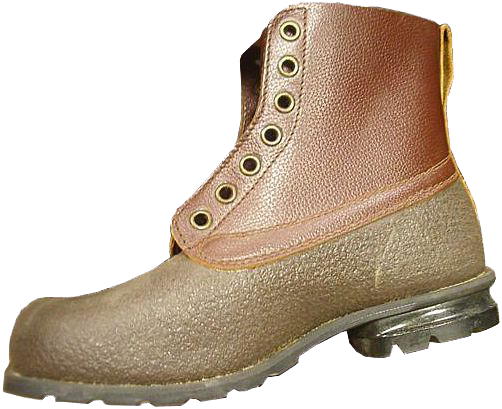 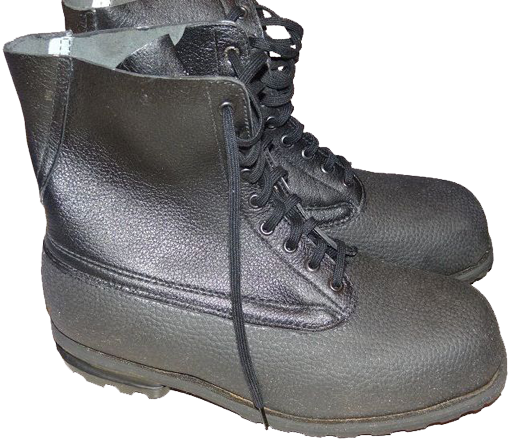 The Swedish boots of model M/59 (shown at the pictures), which were manufactured until 1990, have a number of similar characteristics, such as minimum number of construction joints. 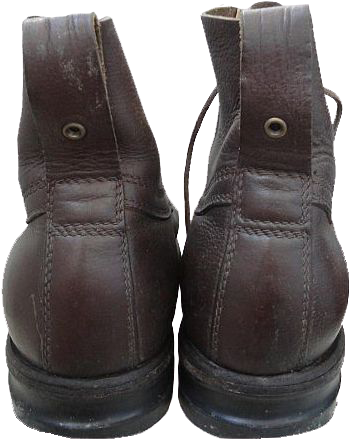 In the early years the lower part of the boot's top was made of rubberised leather, the upper part was made of leather of more light and saturated colour. 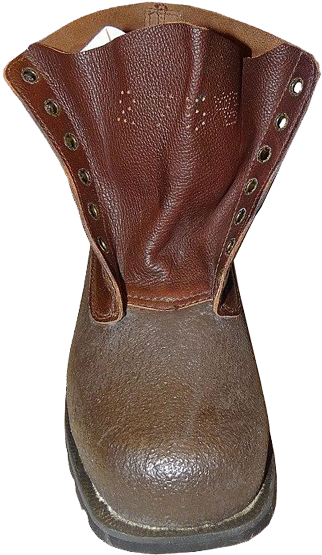 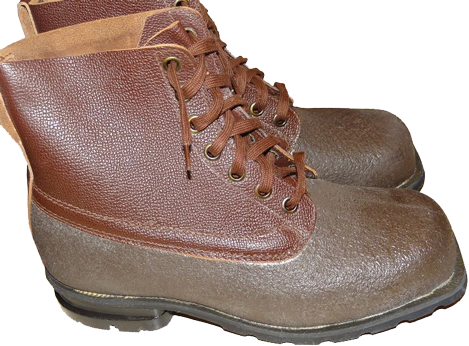 Later the leather of the same type and colour was used for whole boot's top.